Governor Aminu Waziri Tambuwal of Sokoto State has affirmed that it is true that President Muhammadu Buhari has health challenges and also accused a cabal of running his (Buhari”s) government. Tambuwal also declared that he had been under tremendous pressure to join the 2019 presidential race. Addressing thousands of youths and students who stormed the Governor’s Office in appreciation of his involving the youths in his administration, Tambuwal said, “We supported Muhammadu Buhari in 2015 to become President unconditionally and we admit that Buhari has integrity but that’s not the only requirement for leadership. Buhari faced a major medical challenge in 2017 that saw him spending the better part of the year outside the country. He left the country on January 19, 2017, on what the Presidency described then as a medical vacation. When the trip was prolonged, presidential aides announced that the President would be staying back in the British capital to enable him to collect results of some medical tests he did. He returned to the country on March 10, 2017, after a 49-day medical sojourn, saying he had never been that sick in his life. He then gave an indication that he would return to London for further checkup. After missing public events, including three consecutive weekly Federal Executive Council meetings which raised anxiety in the country, Buhari on May 7, 2017, returned to London for medical consultations. He returned to the country on August 19, 2017. On his presidential ambition, Tambuwal said he was still making consultations because of his belief that leadership was a collective responsibility. 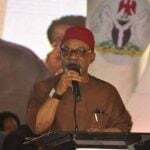 He said, “I have been under intense pressure from various quarters in Nigeria including leaders of the country and friends of Nigeria outside the country to contest the presidency. “But leadership is a collective decision and I have never asked to be made a leader at any time in my life. So, my aspiration will be determined by my people and after that, I will make my political decision known in a matter of days. On the way forward for the country, Tambuwal told the youths that the future for a greater Nigeria lay with the younger generation, assuring them of his commitment to the welfare and empowerment of this group. He reminded them that they were the leaders of tomorrow and that tomorrow was today for them to make the right choice on who would lead the country. “Someone recently referred to me as “a boy”, which is really a compliment that puts me on the side of the youths, who are the strength of our nation,” he said. He, however, enjoined the youths and particularly the students among them to make sure that they participated in the National Youth Service Corps Scheme, as his government would not accept anyone who refused to undergo the national service to our fatherland. 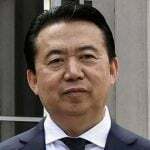 China has formally arrested former Interpol chief Meng Hongwei on suspicion of accepting bribes, prosecutors announced Wednesday, as he faces possible corruption charges. 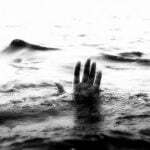 A ten year-old boy, Shuaibu Musa, has drowned while bathing in a pond called “Ramin Tasiu” at Sheika Road in Kumbotso Local Government Area of Kano State. 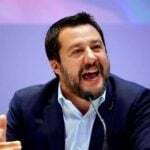 Tensions between Italy’s ruling parties have climaxed in an overnight cabinet meeting, triggering talk of a looming crisis for their populist coalition government. The Nigerian Copyright Commission (NCC), has reiterated its commitment to continued protection of authors’ intellectual property in Nigeria and beyond. 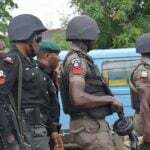 The Police in Ondo State have promised to arrest the fleeing suspect who killed eight members of a family of nine by setting on fire their home in Okitipupa Local Government Area. 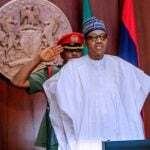 President Muhammadu Buhari has challenged Nigerian workers to justify the signing into law of the new N30,000 National Minimum wage by showing more commitments to their work. 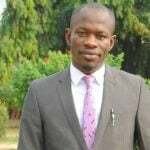 The Cross River Private Hospital Regulatory Board has shut down 14 health facilities in the state for medical quackery and substandard operations. Barcelona and Real Madrid target Luka Jovic is a "natural-born killer" who will undoubtedly become one of the best strikers in the world, according to Savo Milosevic. 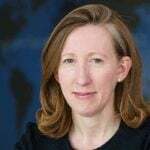 Facebook on Monday named the legal adviser to the U.S. State Department as its general counsel, as the social media giant faces growing regulatory hurdles and privacy concerns.